Fat Bruce Lee had been prodding me to go and try the burger at Pelican Hill for some time. I finally had a meeting in that part of the world, so Pelican Hill it was. Parking was a breeze--it was either self parking and a 100 foot walk or the free valet service. The Pelican Grill was the more casual of the dining venues at the resort. I arrived in jeans and a polo shirt, and I did not catch the side eye from anyone. We ordered a couple of the Prime Sirloin Beef Hamburgers with aged Cheddar and fries at $17 each. Our meals arrived about 15 minutes later. The Beef: The meats at Pelican Grill came from K & M Meat Company, in the LA area. The beef in the 8-ounce Pelican Grill burgers was a blend of Chuck and wet-aged Sirloin. The beef was ground in-house to a medium-fine grind. The fat content was hovering around 25%, so it was a little oilier that I would have liked. The flavor was solid. The burger was moderately beefy, and it carried some nice iron and steak notes. There was a mild scent of funk from the aging, but this did not translate into the bite. The fine-ish grind worked in this case. The Sirloin was hearty and firm enough to provide just the right amount of resistance without being crumbly. The beef was a winner. It checked most of the boxes and came in well above average. The Seasoning: The Pelican Grill kitchen applied a thorough and even amount of salt to the exterior of the thick burger patties. The salt was spot on, and it served to perfectly enhance the steak and beef flavors. The Sear: The sear on our burgers was pretty decent for a gas grill. The sear looked good, but it didn't really contribute much by way of texture. The burger was firm enough that the sear didn't noticeably amp that up. The Preparation: The8-ounce burgers at Pelican Grill were hand-formed into firm patties during morning prep. The burgers were turned three times, yet they remained very juicy. I requested Med-Rare, and my burger arrived a perfect Med-Rare. My companion's burger arrived a perfect Medium, as requested. The Cheese: The aged Cheddar that I went with was fine. There were a couple of other choices, but Cheddar was the most smooth melting of the lot. The Cheddar was fairly mild, and its flavor was all but lost in the seasoning and steak notes. The cheese did lend a pleasant creaminess to the bite, and that served to balance out the firm beef. The Bun: The bun at Pelican Grill was a mild and sweet brioche from OC Baking Company. This was a darn fine brioche. The kitchen had the decency not to oil the top. The bun was fresh, lightly toasted, and delicately sweet. It was refined without being fussy or crumbly. The bun yielded perfectly in the mouth, but it was sturdy enough to contain the thick, juicy burger patty. The Fries: The fries arrived frozen and pre-cut at Pelican Grill. They were properly crisped in fresh canola oil, and they were nicely seasoned. The fries were not spectacular, and they did not have a strong earthy flavor. They were perfectly adequate and very nicely prepared. The Toppings: The Butter Lettuce was fresh and firm as was the tomato slice. The Value: This was a $17 burger. 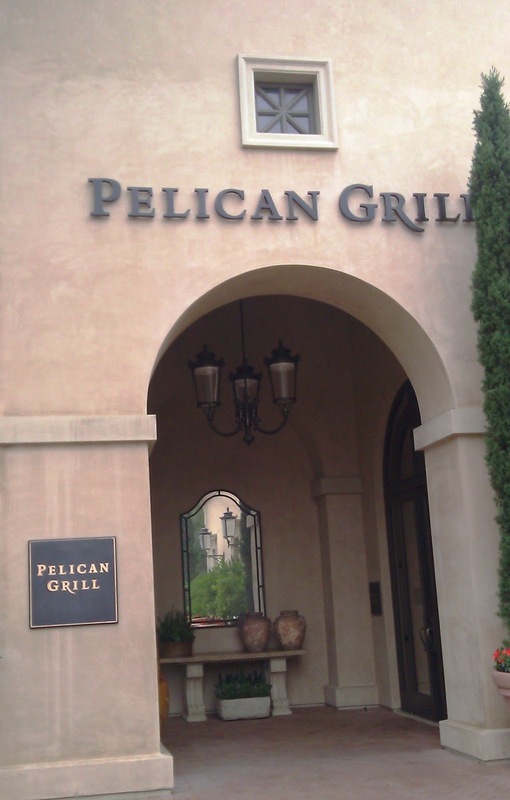 Pelican Grill was at a resort/golf course, so we were paying resort/golf club prices. $17 for a burger and fries was steep, but the quality of flavor and preparation was strong enough that I was not full of regret after paying the check. I was a little surprised that a cheeseburger, which was touted as a Prime Sirloin Beef Hamburger was predominantly composed of Chuck. The value was a little below average but not poor. 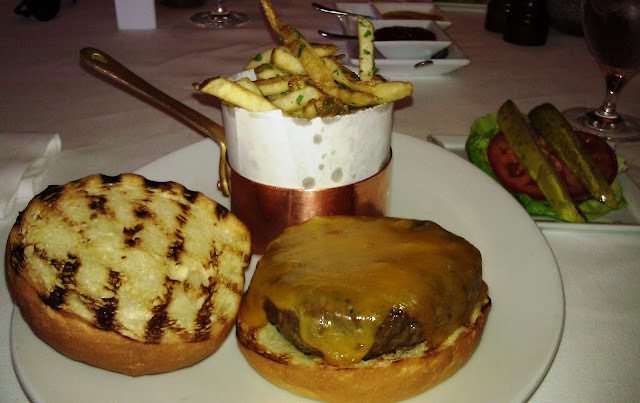 The Pelican Grill at The Resort at Pelican Hill served up a pricey but darn fine burger. It would be difficult to make the argument to make that drive, but if you are already in the area, then that cheeseburger is a solid choice. Burger Review : A very good and skillfully prepared cheeseburger was enjoyed at Pelican Grill. This was the best cheeseburger that we have had in Orange County, CA. 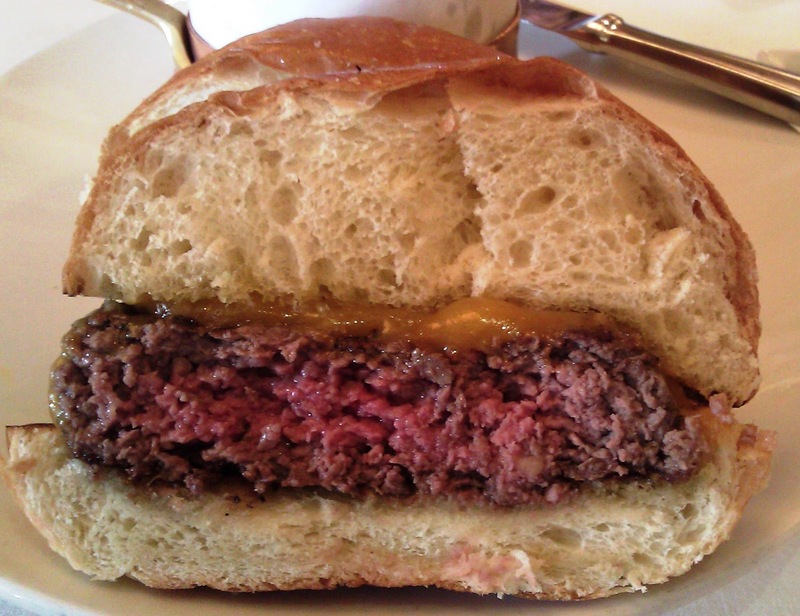 have you tried Morton's lunch burger? consistently good, occasionally very very good. thanks for the reviews; i visit your site daily . . . . Thanks so much. Morton's has been on the list for a long time, but I just haven't made it there yet. Thanks for reading, and please keep the suggestions coming.